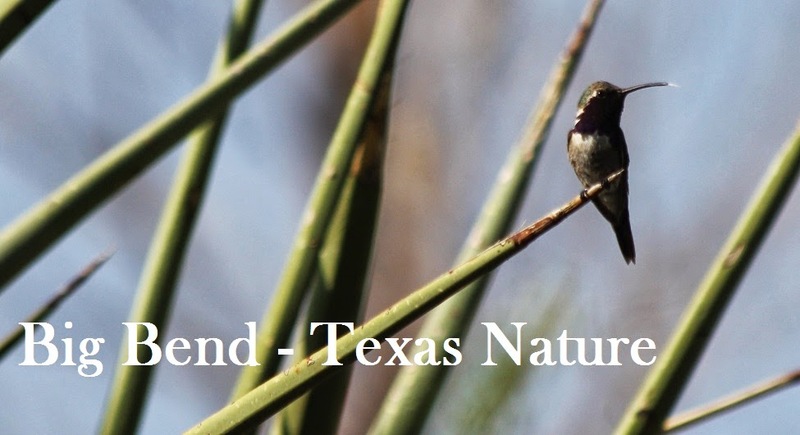 Big Bend - Texas Nature: Updates! Due to the spring rush, 2014 is booked for the latter half of March, all of April, and all of May: please email heidi@bigbendnature.com to get updates on last minute availability for Post Park bird walks and/or blacklighting sessions. For folks not aware that our main blog page has a tab for birding and blacklighting (RSS feeds don't do us justice, I'm afraid), please click here for the most recent updates. Additionally, our Marathon Survival Guide page has also been updated. We still need to update the shopping/gallery information (there isn't any yet), but rest assured that we do have two art galleries, one antique store, a liquor store and a post office, along with the bank, restaurants, library, etc. Ideally there's enough info there to help anyone navigate the town - please let us know if any other information needs to be added! And, yes, more Common Merganser updates are pending - meanwhile, there's a lot of life happening over here!